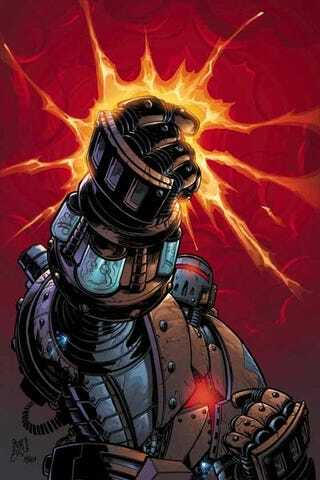 Iron Man 2 will feature an original story by comic book author Matt Fraction which will include elements from both the movie and comic books, Sega announced. The game, debuting at San Diego Comic-Con in the Sega and Marvel booths, will include enemies not seen in the movie, like Crimson Dynamo, and have a greater focus on hand-to-hand combat as well as a redesigned control scheme. "Iron Man has an undeniably huge fan base, and we really wanted to give them the game they have been waiting for. We spent a lot of time incorporating their concerns and feedback from the first game, as well as coming up with new ideas to take this game to a whole new level," said Sean Ratcliffe, Vice President of Marketing, SEGA of America. "Creating a new story with renowned comic book writer Matt Fraction is a huge part of making that happen, and we are incredibly excited to bring fans the game we know they want with Iron Man 2." Fraction, whose work at Marvel includes The Invincible Iron Man, The Uncanny X-Men and The Immortal Iron Fist, will be on hand to sign stuff at Comic-Con this week.